Culture | Working | Toray Composite Materials America, Inc.
At Toray Composite Materials America, Inc. you’ll find the warmth and honesty that make for a real family atmosphere. Here, folks have the strength of character and adaptability you’d find in a best friend. It’s a sense of camaraderie that’s easy and natural, complete with after-hours events and volunteer opportunities, so we can all support our community together. Some say the friendly environment is a result of a management structure that is open, transparent, and honest. We believe it’s even more than that: it’s because here we share knowledge and value everyone’s input. After all, that’s how we make innovation happen. And just like your friends push you to be your best, we offer career opportunities that help you go farther than you thought possible. Add in the career support we offer and our tremendous benefits package, and you’ll really see the strength of the CMA experience. We believe that true success depends on how we help to build stronger communities and preserve our environment. That’s why, every year, we contribute to our communities in many ways. 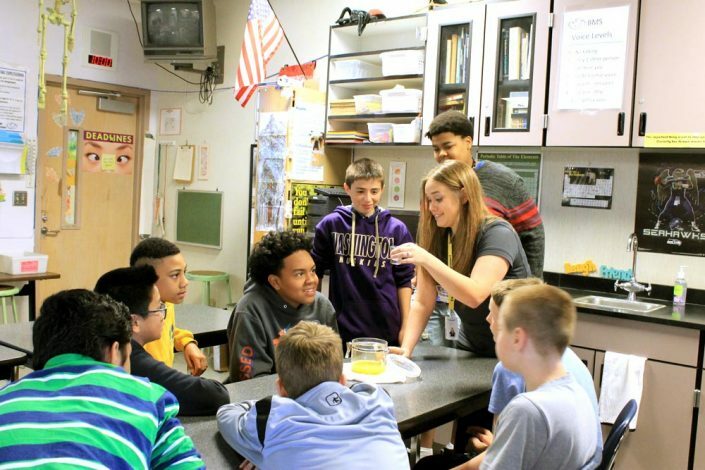 For example, in addition to regularly supporting important causes like the United Way and a local holiday giving program, we teach local middle school students a series of experimental science classes about environmental practices. 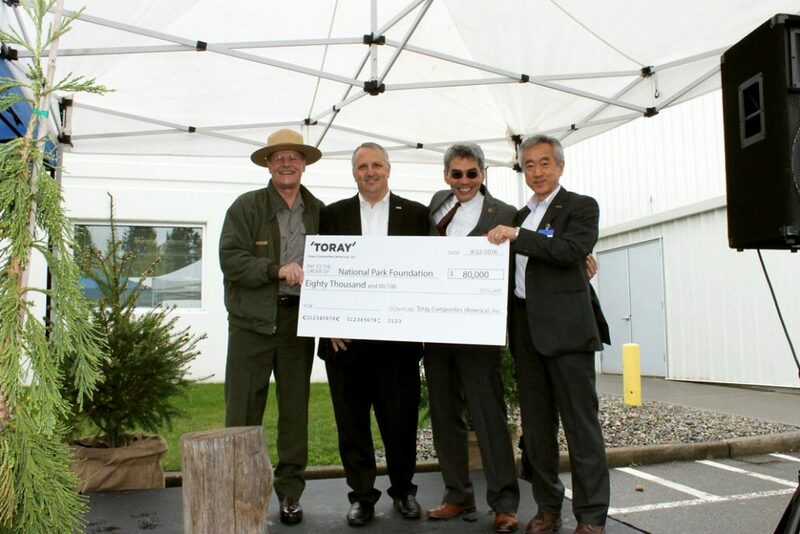 And we hosted an Earth Day celebration, where we officially adopted a critical waterway and donated $80,000 to the National Parks Foundation. Additionally, we’ve worked hard to reduce waste and power consumption. That’s how we were able to make a $200,000 donation to the South Puget Sound Salmon Enhancement Group to support their work in restoring salmon habitats. These are just a few of the ways we work to help achieve a more sustainable world. It’s part of our corporate values, but it’s just plain part of our DNA, too. 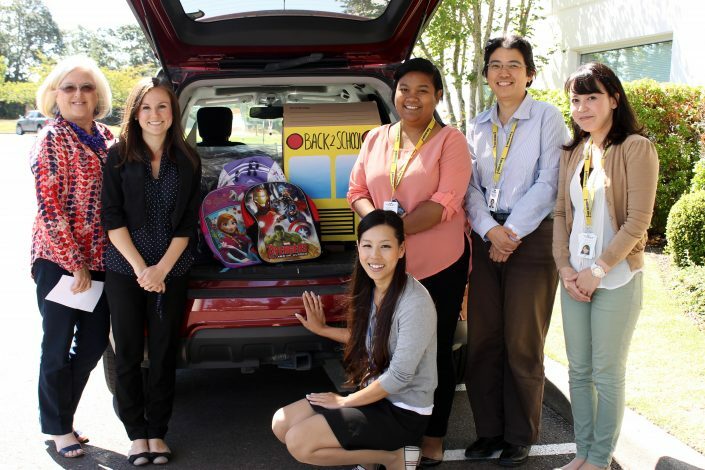 Learn more about Toray Global’s involvement in Social Responsibility. 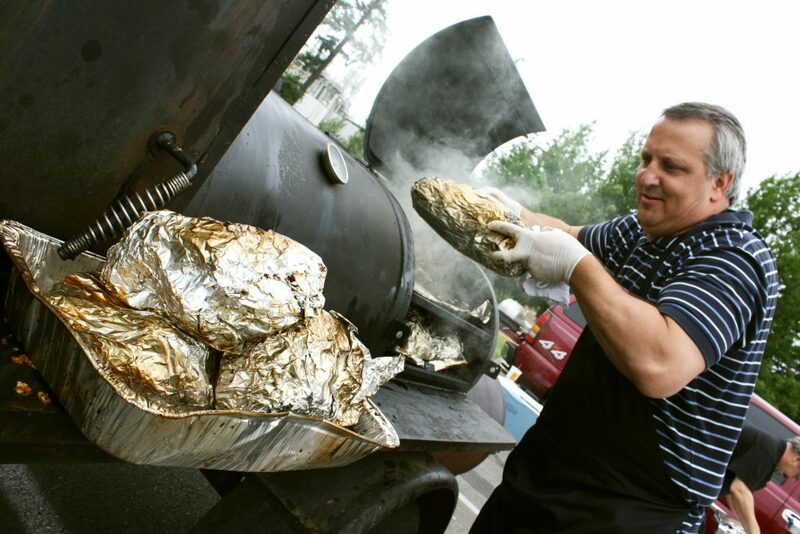 President Dennis Frett cooking at our company picnic. 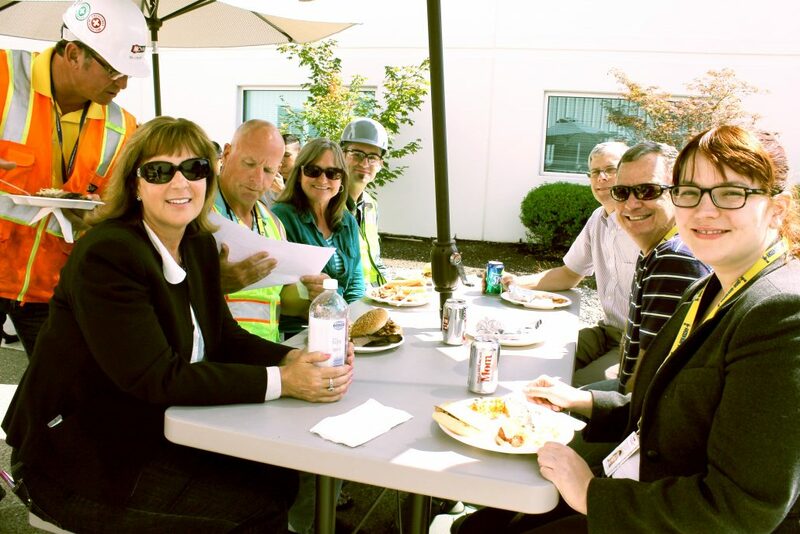 Our associates enjoying burgers at a BBQ. Making a donation to the National Parks Foundation on Earth Day 2016. Our associates teaching a science class at a local school. 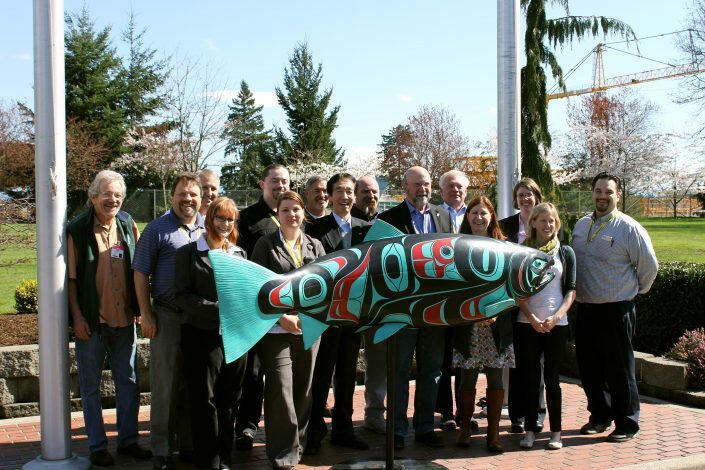 Donating funds to the Puget Sound Salmon Enhancement Group in 2015.